Substitute for Loyd #4. 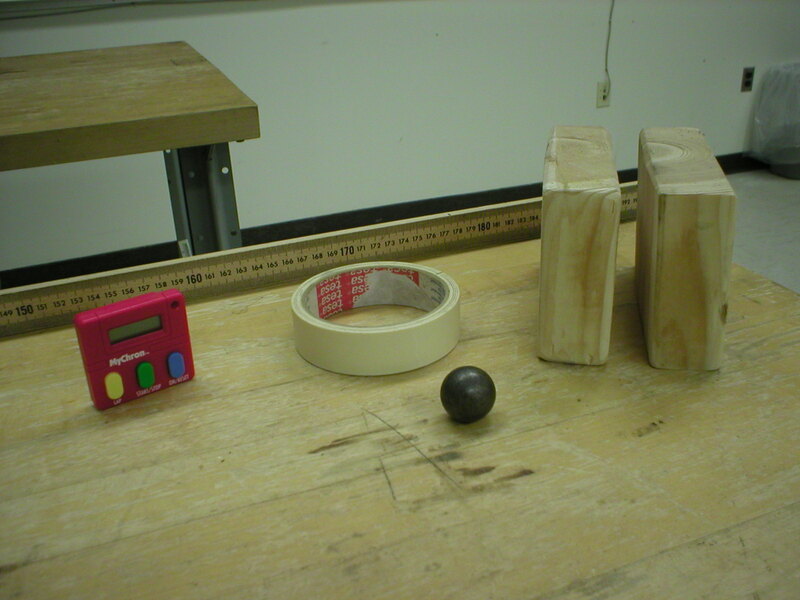 A metal ball is rolled down an inclined plane, and from measurements of elapsed time and displacement, the acceleration of the ball and value for g are calculated. IMPORTANT: See instructor or supervisor for choice of table as ramp or plank on rod! If using planks, see "Design Inclined Plane" PRC setup page for parts list. Do not use planks with the pulley's. (And, be very gentle with pulley planks if moving them to get other planks.) If using blocks under table legs, make certain that the two wood blocks are the same size. Two pairs of blocks are required. This lab requires laptops. Computer distribution must be handled by instructor during class. Item modified on 2012-09-20 15:53:50 by andersone1.